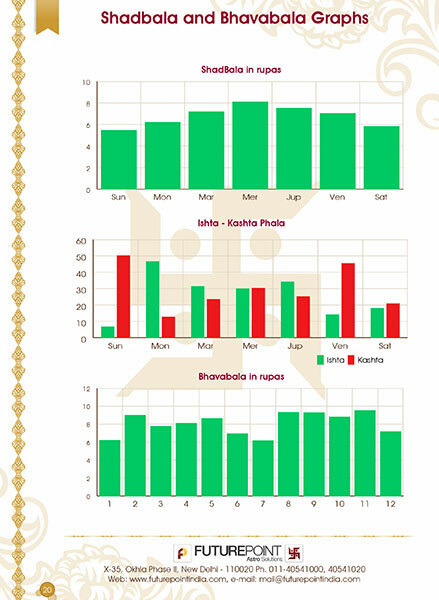 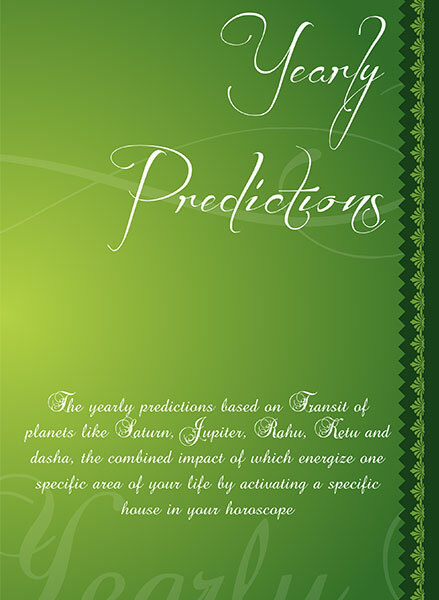 2 Year Horoscope report is around 30-31 page report. 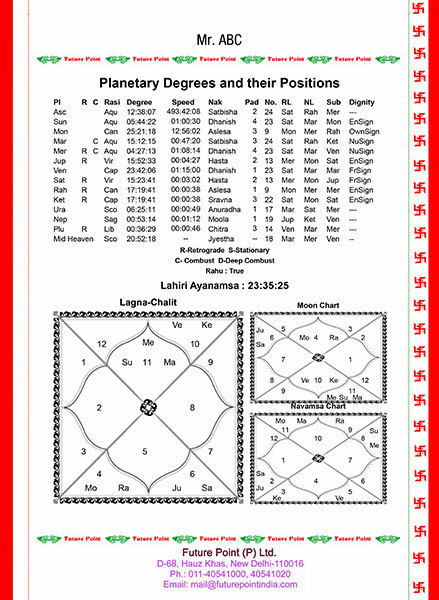 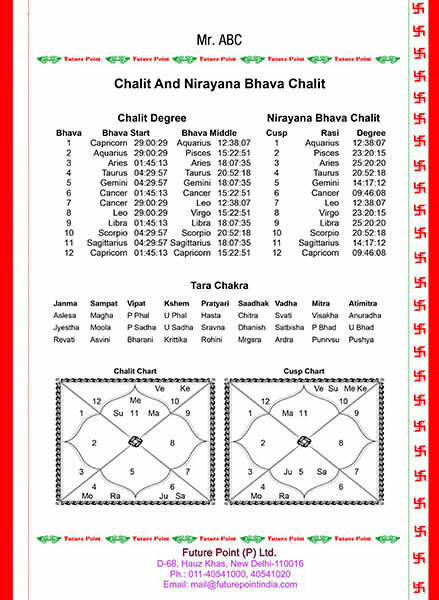 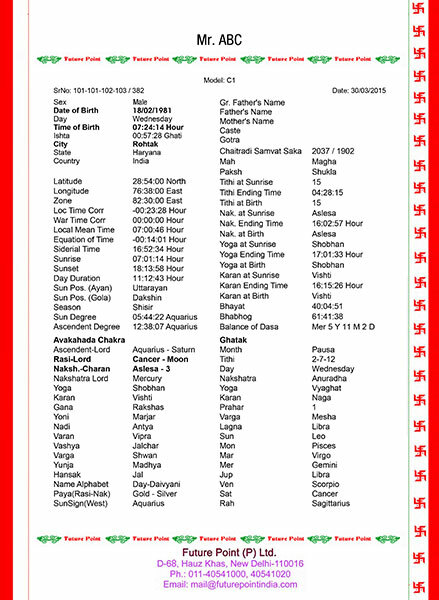 It is a compact model which gives Birth-details, Planetary degrees, Lagna charts, Moon Chart, Navamsa Chart, Dasamamsa Chart, Sarvashtakvarga, Vimshottari Dasha and Yogini Dasha. 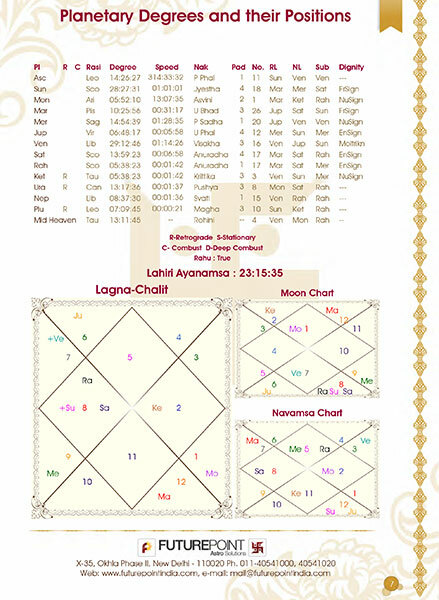 It includes 2 Year Detailed Yearly and Monthly Predictions about various areas of life like Profession, Wealth, Property, House, Family and Society, Children, Health, Career and Competition, Travel and Transfer etc. 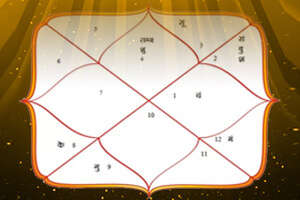 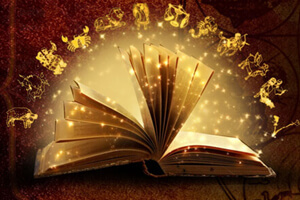 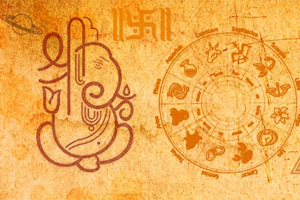 It is a compact model contains astrological calculations and predictions which helps the astrologer and native to get a fair idea about native’s future.